Circuit Judge Rex Burlison ruled on Monday that Attorney Al Watkins would not be allowed to represent William Don Tisaby, and also ordered that the former FBI agent be deposed by Thursday. Initially, Watkins was going to not only be representing P.S., the ex-husband of the woman at the center of the case, but also Tisaby — which Greitens’ defense attorney Jim Martin called an act of collusion. The ruling follows Martin’s request to allow the defense to re-depose Tisaby, a former FBI agent hired by St. Louis Circuit Attorney’s office to help with the investigation, by Tuesday or else dismiss the case. “I don’t believe the public is going to have confidence in the administration of justice,” Burlison said. The judge also ordered that St. Louis Circuit Attorney Kim Gardner contact Tisaby regarding his deposition and that he was now ordered to be deposed on Thursday. Gardner said she reached out to Tisaby over the weekend as directed by Burlison but was told he would not be available for a re-deposition until Monday, April 30. Martin said the defense team assumed they would be deposing Tisaby Monday morning and stated that the prosector’s office should have informed the defense over the weekend that Tisaby wouldn’t be available to be deposed. In addition, the defense team requested that P.S. and K.S.’ phones be released to the defense. Burlison ordered Monday afternoon that both phones be submitted to a court approved forensics expert for examination. 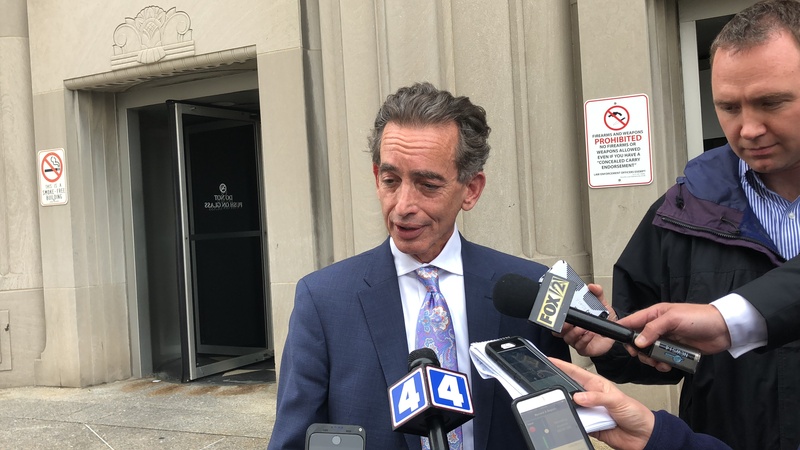 Greitens’ attorney Scott Rosenblum said the defense wants the texts between woman and ex-husband because they raise questions about the ex-husband’s prior testimony. The woman’s attorney, Scott Simpson, said Monday morning an order to turn over the phone, issued by the defense, violates his client’s constitutional rights. Simpson, however, was not present during the afternoon hearing. Greitens has also been charged with two additional felony counts regarding the use of a donor list from his nonprofit charity during his gubernatorial campaign in 2015. The news was announced by Gardner on Friday afternoon. 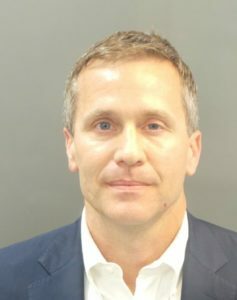 According to the Circuit Attorney’s Office, Gardner charged Greitens with two counts of tampering with computer data: modifying or destroying, disclosing or accessing for an incident that took place on around about April 22, 2015.
scheme in our community. Your site provided us with valuable info to work on. You have done a formidable job and our whole community will be grateful to you. and sources back to your blog? My blog site is in the exact same niche as yours and my users would certainly benefit from a lot of the information you provide here. are speaking approximately! Bookmarked. Please additionally visit my web site =). Qs3Y8E Wow, great post.Really looking forward to read more. Fantastic. I wish to get across my appreciation for your generosity giving support to people who have the need for guidance on this important concept. Your special commitment to passing the message all around had been remarkably informative and have usually made associates like me to reach their goals. Your amazing valuable guidelines entails so much to me and extremely more to my office workers. Regards; from everyone of us. Youre so cool! I dont suppose Ive read something like this before. So nice to find someone with some unique thoughts on this subject. realy thanks for beginning this up. this website is something that’s wanted on the internet, someone with slightly originality. helpful job for bringing one thing new to the internet! Hi this is somewhat of off topic but I was wanting to know if blogs use WYSIWYGeditors or if you have to manually code with HTML. I’m starting a blog soon buthave no coding know-how so I wanted to get advice from someone with experience.Any help would be greatly appreciated! Hi folks here, just became familiar with your blogging site through Search engines like google, and realized that it is really educational. I’ll value if you decide to continue this idea. correspondence more about your article on AOL? I need an expert in this house to solve my problem. What’s up to all, the contents present at this web page are genuinely remarkablefor people experience, well, keep up the nice work fellows. Hi friends, fastidious paragraph and nice urging commented at this place, I am truly enjoying by these. I was very pleased to uncover this web site. I want to to thank you for your time for this wonderful read!! to appear Thursday for re-deposition in Greitens’ invasion of privacy case – Clayton Times is kinda vanilla. You might look at Yahoo’s home page and see how they create news titles to get viewers to click. 7fgxpY uncertainty very quickly it will be famous, due to its feature contents. is in fact fruitful designed for me, keep up posting such articles or reviews. xwHoPm Skillful Plan Developing I consider something genuinely special in this website. What i do not realize is in truth how you’re no longer actually a lot more well-favored than you might be right now. You’re very intelligent. You know thus significantly in relation to this topic, produced me in my opinion consider it from numerous varied angles. effort you put to create this kind of wonderful informative website. After looking into a number of the articles on your web page, I really appreciate your technique of writing a blog. This article gives clear idea for the new people of blogging, that really how to do blogging. surfing around your weblog posts. After all I’ll be subscribing on your rss feed and I’m hoping you write again very soon! I don’t even know the way I finished up here, but I assumed this submit used to be good. I don’t know who you might be but definitely you are going to a famous blogger for those who aren’t already. back at some point. I want to encourage continue your great job, have a nice day! know I am getting know-how everyday by reading thes pleasant articles. This paragraph presents clear idea in support of the new visitors of blogging, that in fact how to do blogging. the format in your weblog. Is that this a paid topic or did you customize it your self? I not to mention my pals have been looking through the best techniques found on your website and suddenly developed a terrible suspicion I had not expressed respect to the web site owner for those secrets. The women came as a consequence happy to read through all of them and have now pretty much been having fun with those things. Appreciation for genuinely very thoughtful and for selecting certain fantastic information most people are really desperate to know about. My honest apologies for not expressing appreciation to you sooner. I am actually glad to glance at this website posts which contains tons of useful facts, thanks for providing these statistics. I go to see every day some websites and websites to read posts, but this webpage presents quality based writing. I simply want to tell you that I am beginner to blogging and site-building and actually savored this web-site. Almost certainly I’m likely to bookmark your site . You actually have incredible stories. Cheers for revealing your web page. I¡¦m now not positive where you’re getting your info, but good topic. I needs to spend some time learning much more or understanding more. Thank you for fantastic information I was looking for this information for my mission. I definitely wanted to develop a small comment to express gratitude to you for the remarkable guides you are giving here. My time consuming internet investigation has at the end of the day been compensated with professional knowledge to exchange with my co-workers. I would tell you that most of us site visitors are unquestionably blessed to live in a perfect community with many perfect individuals with insightful suggestions. I feel quite happy to have come across your web page and look forward to plenty of more cool minutes reading here. Thanks a lot again for all the details. It is in point of fact a great and useful piece of information. I¡¦m glad that you just shared this useful info with us. Please stay us informed like this. Thanks for sharing. Wow, incredible weblog format! How long have you been blogging for? you make running a blog glance easy. The whole glance of your website is fantastic, as neatly as the content material! you are truly a excellent webmaster. The website loading velocity is incredible. It seems that you’re doing any distinctive trick. Moreover, The contents are masterpiece. you’ve done a magnificent task on this matter! Hello very cool blog!! Guy .. Excellent .. Amazing .. I’ll bookmark your blog and take the feeds also¡KI’m happy to seek out numerous useful information here in the publish, we need work out extra techniques on this regard, thank you for sharing. . . . . . Thanks for every other informative website. Where else may just I am getting that type of info written in such an ideal method? I have a undertaking that I am simply now working on, and I have been on the glance out for such info. Thanks for sharing superb informations. Your web site is so cool. I am impressed by the details that you¡¦ve on this web site. It reveals how nicely you perceive this subject. Bookmarked this web page, will come back for more articles. You, my pal, ROCK! I found simply the info I already searched all over the place and just couldn’t come across. What a great web-site. Thank you a lot for providing individuals with an extraordinarily marvellous possiblity to read articles and blog posts from this blog. It is always so amazing and also packed with fun for me personally and my office peers to search the blog on the least thrice in a week to find out the latest things you have. Of course, I’m also certainly contented for the unique techniques you serve. Selected 4 ideas in this posting are absolutely the very best we have ever had. Hiya, I’m really glad I’ve found this info. Today bloggers publish just about gossips and internet and this is really irritating. A good website with interesting content, this is what I need. Thanks for keeping this website, I’ll be visiting it. Do you do newsletters? Can’t find it. I have been browsing on-line more than three hours today, yet I by no means discovered any attention-grabbing article like yours. It is lovely price enough for me. Personally, if all webmasters and bloggers made good content material as you probably did, the internet will probably be much more helpful than ever before. I am no longer positive the place you’re getting your information, however great topic. I must spend some time studying much more or understanding more. Thanks for great info I used to be in search of this info for my mission. magnificent points altogether, you simply won a emblem new reader. What would you recommend about your submit that you simply made a few days in the past? Any positive? Whats Taking place i am new to this, I stumbled upon this I have found It absolutely useful and it has helped me out loads. I am hoping to give a contribution & aid different customers like its helped me. Great job. I have been surfing on-line more than 3 hours as of late, yet I never found any interesting article like yours. It¡¦s beautiful value sufficient for me. In my view, if all website owners and bloggers made good content as you did, the internet will be a lot more useful than ever before. hello there and thank you for your information – I have certainly picked up anything new from right here. I did however expertise a few technical points using this web site, since I experienced to reload the web site many times previous to I could get it to load correctly. I had been wondering if your web hosting is OK? Not that I am complaining, but sluggish loading instances times will often affect your placement in google and can damage your quality score if advertising and marketing with Adwords. Well I am adding this RSS to my e-mail and can look out for a lot more of your respective exciting content. Make sure you update this again soon.. Thank you for every other informative site. The place else may just I am getting that type of information written in such an ideal means? I have a project that I’m just now working on, and I have been on the glance out for such info. I was just searching for this information for a while. After 6 hours of continuous Googleing, at last I got it in your site. I wonder what is the lack of Google strategy that don’t rank this type of informative sites in top of the list. Normally the top web sites are full of garbage. I’m just writing to make you be aware of of the fantastic experience my friend’s child obtained going through your webblog. She discovered numerous things, with the inclusion of what it’s like to possess an incredible coaching character to let other individuals very easily completely grasp various specialized things. You undoubtedly surpassed our own expectations. Thank you for presenting these great, trustworthy, informative not to mention easy thoughts on your topic to Ethel. Some truly nice and utilitarian info on this internet site, as well I think the style and design has got great features.